It all started years ago when we went looking for other families like our own — families raising gender bending boys who like wearing skirts and playing with dolls. We came up with nothing…until we found each other. Every day we are grateful for the relationships that have developed between our families. We’ve always been aware that we have it good and, now, we are giddy as hell to help other families connect. This blog post marks the official launch of Rainbows At Play. 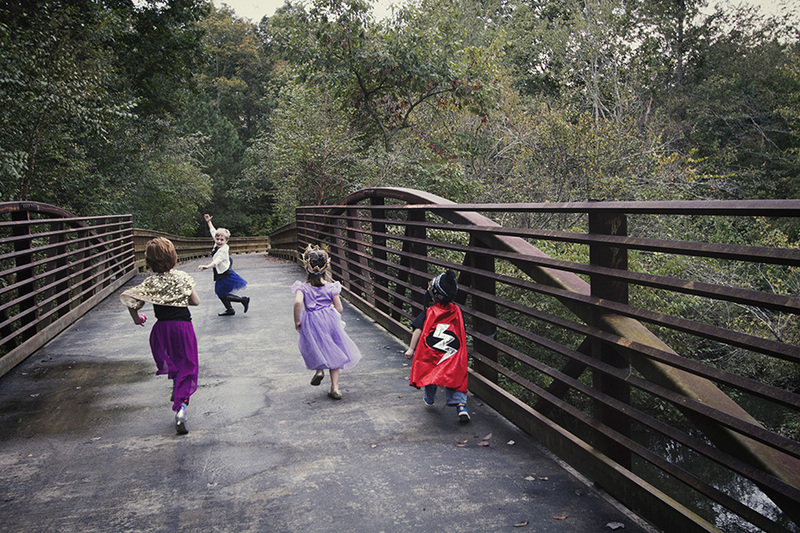 Rainbows At Play is an online community that connects families raising gender nonconforming kids so they can playdate and find fierceness in numbers. If you don’t already have a Lefora.com membership, go there and create an account so that you can access communities, groups and forums hosted by Lefora. Go to Rainbows.Lefora.com and fill out the application. Be patient. Initially, Kelly and I will be reviewing all applications ourselves. We hope to have so many families apply that it takes us a few days to get to new applications. Wouldn’t that be wonderful? The more who join, the better your odds of finding a local playdate mate and family just like yours. Once you are accepted into the community, read the “Rules and Guidelines” and “Getting Started” topics found at the top of the Community’s homepage. Spread the word and the sparkle. This parenting journey can be lonely, but it doesn’t have to be. Let’s get playing! This entry was posted in All Posts and tagged Gender, gender creative, gender nonconforming, Gender Stereotypes, Kelly, Living A Bold Life, Orange County, parenting, playdates, Rainbows At Play, raising a gay child, Raising My Rainbow, twirl. Bookmark the permalink. 42 Responses to Introducing Rainbows At Play! Is this group still active? I applied for membership in early November, but haven’t heard anything. Hello, I’m not sure if this is the best way to reach out to other families or not, but I want to let you know that we have a state-wide support organization in Colorado. We have 50 families connected to each other via Facebook and/or email. Historically most if our children have had strong cross gender identities that required transition. That is changing now as we are seeing more rainbow children who do not transition. We are currently working together to propose single stall gender neutral restrooms at all grade levels in a local school district. If you are interested in connecting with our group as well as this organization, please contact us at tyes.group@gmail.com. What a great organization! I hope this really takes off! I can see one in every city! Good luck! I just found your website, and it seems cool. I have been thinking about Angelina Jolie’s little girl who likes to dress like a boy, and the magazines seem to make a big deal of it. Now, I am a middle aged woman, and I would have always preferred more masculine styles – but never have had the nerve to do so too much, although I almost never wear a dress, or makeup Anyway, what you’re doing with CJ seems ok, but, you seem to say that he likes things girls like. But really, not all girls.like “girly” stuff. My daughter never liked any dolls but Barbie and her favorite colors were black and white. .That’s the other point, which is kids do change preferences over time, such as what clothes they like, colors, toys whatever. So CJ is cool as he is, but that doesn’t mean he might not change. He may end up liking purple and hating dresses. So what? My favorite color has always been blue, and I hated wearing those school uniform jumpers. Thank you for doing this. I’m holding back tears. I’m hoping to find playmates in the Vancouver, BC area for my awesome 8 year old sparkle boy. This sounds awesome! I hope this takes off! I am so excited that you found a way to connect families!! Yeay, yeay, yeay!!! Love love love! I can’t wait to sign up and find other local families to play! Brilliant idea! Lori, I want to gush for a minute. C.J. reminds me a lot of me when I was his age. Or who I would’ve liked to be, if I’d been given the opportunity to explore it. I’m 22 now and only now coming to grips with understanding everything, and I’ve had to do it on my own, because completely unlike C.J., I was extremely shy, and what little I did express, my parents didn’t really support. Reading this as both someone with gender identity issues as well as a child development and education major, you make me so hopeful. I’m so glad there are kids out there that get to have something like this. I third the notion of allowing non-members of this group donate. ‘Cause heck, you can just have my wallet. What an amazing undertaking. I also agree with the people asking for a way “non-primary caregivers” can donate or help out in some way. I have no children, but this is a venture I want to help succeed. My son is 13 now. All growing up he played with barbie dolls, and dressed up. He has always related and has always preferred female relationships. Now that he is in middle school (which is a breeding ground of intolerance), I feel he is socialized to the point he would not participate. I am so glad to see you are helping your child be himself and provide a safe place in the world for that! How wonderful! I’m glad to have a place to refer families of gender non-conforming kids! 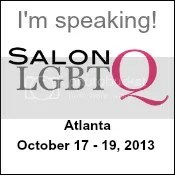 I would love to have an auxiliary group to this of families with kids that would love to be welcoming allies & friends! My spouse is transgender, my kids have been raised to look beyond the gender binary (and while I don’t think my kids fit the definition of transgender themselves, they are not afraid to embrace interests & self expression regardless of gender stereotypes…my sons are both My Little Pony fans & have been known to pick “girly” things, such as sparkly rings, when it suits their fancy. They embrace & enjoy people for their differences & stick up for their friends.) Considering the status of my spouse, it means a great deal to find playmates for my kids that they know will be equally supportive of them & their family. So being able to be connected as an ally & potential friend to this group would be wonderful for us. You should join the Rainbows At Play community and let families in your area know that you’re a family of allies and friends who would love to play, connect, support and celebrate! We raise our kids in a gender neutral environment supporting whatever they want to wear or play with but our kids do not necessarily identify as trans or gnc. Can we still join? Yes! You should join the Rainbows At Play community and offer your friendship and support! Well done! We have just recently found some differently gendered friends for our child here and it does make such a difference – for our children and ourselves alike! Yay! Great initiative! Also: for other parents: there is a group on Facebook called “Parents of transgender Children”…it is a FANTASTIC community (and a PRIVATE group!) Can’t wait to see if we find some more kids here in our community with this new Lefora initiative! THANKS Lori and Kelly!!! I think of playdates as being for younger kids, but my gender fluid child is a teen. Would it be worth our while to sign up and try to find connections? Yes! Join Rainbows At Play and let’s see if we can find you some other teen families to connect with. My daughter recently asked my husband and I- Why we made her a girl, that she clearly prefers to be a boy. My husband is having a hard time and keeps calling it a phase. I’m not too sure and I’m not about to prohibit or prevent my daughter from being anything but herself. She loves dinosaurs and race cars, hates dresses, etc. I would love to be a part of this community. I love reading your blog but I realize it’s geared mostly towards rainboy boys and I wonder if you would have parents of rainbow girls……? Go to Facebook and look up “Parents of Transgender Children”…you have to ask to be invited, but that group is chock full of info and support both Female to male and Male to Female…and us with kids in between too. Thanks for the info for support on Facebook! Yes! Join the Rainbows At Play Community and let’s find a family near you with a gender creative daughter. OMG this is the best news I have ever heard! I am signing up ASAP and can’t wait to connect with other families like mine! Rainbows at Play is a community for families of gender variant children to help them connect with one another and find playmates for their children. 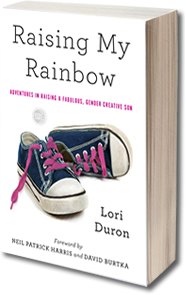 If you are raising a gender creative child you should definitely check it out! What a wonderful concept/idea you have come up with. Congratulations on the success of your book and with this new project. Lori & Kelly–thank you. I am so happy I’m in tears. No joke. Thank you, thank you, thank you for doing this. I second this motion! I don’t have much, but I would definitely like to chip in some, if money can be of use to this project.